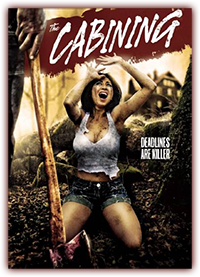 THE CABINING was named one of the 10 Horror Comedies a True Fan MUST See! The Cabining is a must see. Mike Kopera is the founder and CEO of Lakeview Pictures. After graduating from Northwestern University with a degree in Theatre, he moved to Los Angeles and pursued acting and voice-over for four years. During that time, he studied and performed with the Groundlings, the Beverly Hills Playhouse, and the Straitjacket Society. 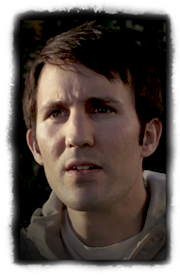 Mike has produced and acted in multiple films, including the shorts My Friend Peter (2010), No Longer There (2014), Strangers (2014), and Fun Bible Facts! (2015), and the features The Cabining (2014), Initiation (2016), and The Drama Club (2016). Bo Keister is originally from Dublin, VA. His numerous credits include "Remember the Titans," "Reunion 108," "Where I Begin," and he currently hosts the nationally televised show, "Gallery of Guns TV," on The Sportsman Channel. 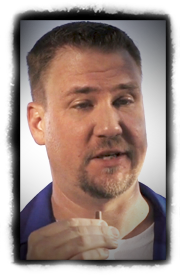 His commercial work includes national spots for Office Depot, Coke Zero, NASCAR, and US Cellular. Bo currently resides in Christiansburg, VA.
Angela was raised in New York City in The Bronx. 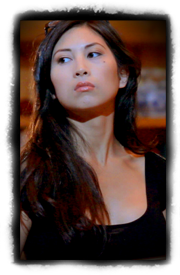 After high school, she attended the acclaimed NYU Tisch School of the Arts, where she earned her BFA in Drama. She continued as a full-time student, training there at Playwrights Horizons Theater School and The Lee Strasberg Theatre & Film Institute. In 2010, Angela moved from her beloved NYC to another big city, Los Angeles, where she appears in feature films and television shows, Angela lives on both coasts, splitting her time between Los Angeles and Atlanta. International actress and French singer-songwriter, Melissa Mars received major notice in the United States and around the world after appearing alongside John Travolta in From Paris With Love produced by Luc Besson (Nikita, Lucy), winning a best supporting actress award for her performance in The Cabining, and having her song “Beautiful” be included in Coca-Cola's “52 Songs of Happiness” worldwide music compilation. She is well-known in France for her pop music career. She released 3 solo albums with Universal Music, and featured on many duets, including “1980” which reached number 5 in the charts. She is also well known for her leading role in the successful musical Mozart the Rock Opera, a smash hit with more than 1,500,000 tickets sold. A Michigan native and graduate of Northwestern University, Steve was a storyteller from an early age and later moved to Los Angeles to pursue a career in filmmaking. He worked from the ground-up, volunteering as a production assistant on numerous independent productions until he eventually learned to write, direct, and produce his own films. Prior to the Cabinig, Steve directed My Friend Peter which won several awards and festival acceptances worldwide. The Cabining’s distribution campaign included airings on Encore television and most major OnDemand outlets (Comcast, AT&T, Charter, DISH, DirecTV), plus VOD through iTunes and Amazon Streaming. Born and raised in the Detroit area, Wilk formed his own production company FERAL MEDIA in 2013 and proceeded to write and direct Kops (2014) and Bigfoots (2015). Mike's feature directorial debut La Puesta del Sol is in development. 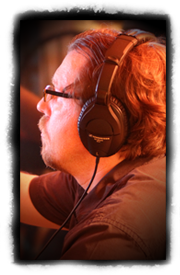 Mike is a long-time collaborator with the Kopera brothers, also serving as Art Director in the 2019 action film Boyne Falls. Hailing from Michigan, Brion Dodson is an artist, photographer, and founder of Captive8 Productions. 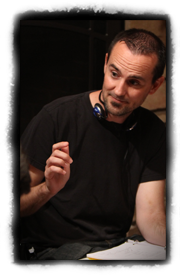 Brion served as Production Designer on the 2019 action film Boyne Falls.